In 2015, the Cobb County Commissioners had a vision to build a memorial for veterans and their families as a way to help pay respect for their service and sacrifices to this country, Georgia and Cobb County in particular. Croft and Associates submitted a superb design for the Cobb County leadership to review. In January 2015, a decision was made to select various veteran military leaders in the county to establish a Foundation that would work in partnership with Cobb County management in fulfilling this vision. In March 2015, the Cobb Veterans Memorial Foundation was incorporated and began searching for an adequate site for the memorial as planned. Over the course of several months several sites were evaluated and the original design plans were modified by the Board of Directors and Croft and Associates. From the outset, the Board President Major General Jim Bankers (US Air Force Retired) made it clear to all that this memorial would be aimed at honoring all veterans, and their families, regardless of service branch, war/conflict, or what they did in their service branch. 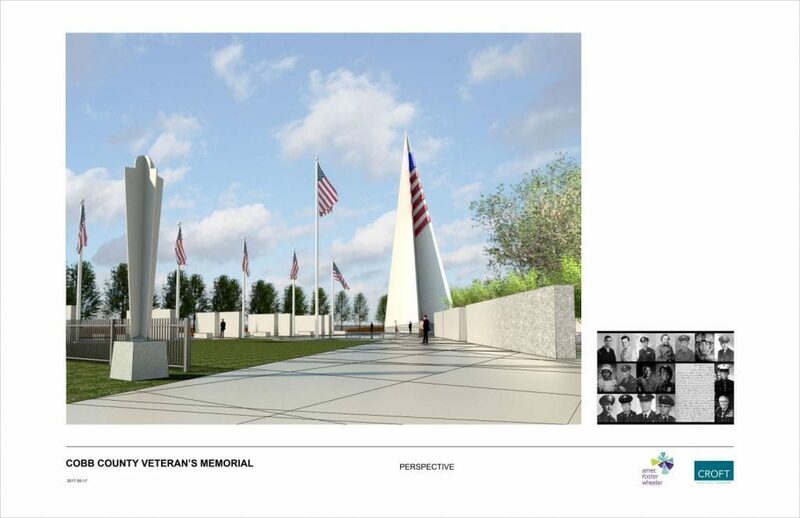 The spirit of the veteran is at the forefront of the memorial and through its design Croft and Associates have captured that spirit. After reviewing several sites that the Cobb County Commissioners made available for consideration, the Board of Directors chose a site in Marietta that is adjacent to the Cobb Civic Center and the Aquatics Center, along Fairground Street, across the street from the Lockheed Credit Union. This is considered a high visibility area with easy access to most and adequate parking readily available. The Cobb County Veterans Memorial will be a beautifully inviting park in a transformational setting. Having a dedicated site, whose simple motto is to say “Thank You” to those who have served, will not only stand as a beacon to recognize the sacrifice of those who made freedom possible but will also inspire future generations to lives of service. Cobb County is one of the largest of the 159 counties in Georgia and does not have a Veterans Memorial honoring military service. Additionally, Cobb County is home to approximately 60,000 veterans, the most of any county in Georgia. With the recent gift of land by the Cobb County Commission, the leaders of the County are determined to fill that void and engage in a true community effort to build a fitting tribute for those who have served our country. 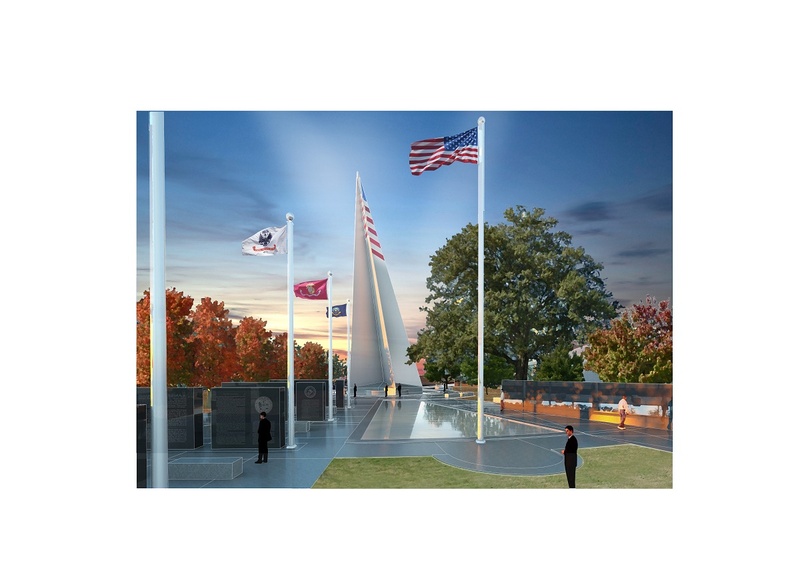 Fundraising is currently underway and will continue thru May 2020 with the Ribbon Cutting planned for Memorial Day 2020. To contribute, go to the Cobb Veterans Memorial Foundation Fund at Cobb Community Foundation. Cobb Veterans Memorial Foundation (CVMF) from Southend Films on Vimeo.